Emily Sophia Van Binsbergen, designer, studied at Moore College of Art and Frudakis Academy of the Fine Arts with Master Sculptor Evangelos Frudakis in Philadelphia, PA. Her passion for the old master classics, plein air landscape and the arts in general has led to numerous portrait commissions and Fine Art exhibitions, as well as her career as an expert faux finish painter, muralist, and interior designer. Emily Sophia’s work has been exhibited for over 20 years by the most discriminating residential and commercial owners, restaurants, theaters, and boutiques including Mantra Restaurant, The Warwick Hotel, and Plays and Players Theater in Philadelphia; La Petite Classic Boutique in Bethesda, MD, and the Swiss Embassy in Washington D.C.
For each of the next seven days we’ll be posting a variety of Emily’s works here and on the drunkenmermaid.com facebook page. 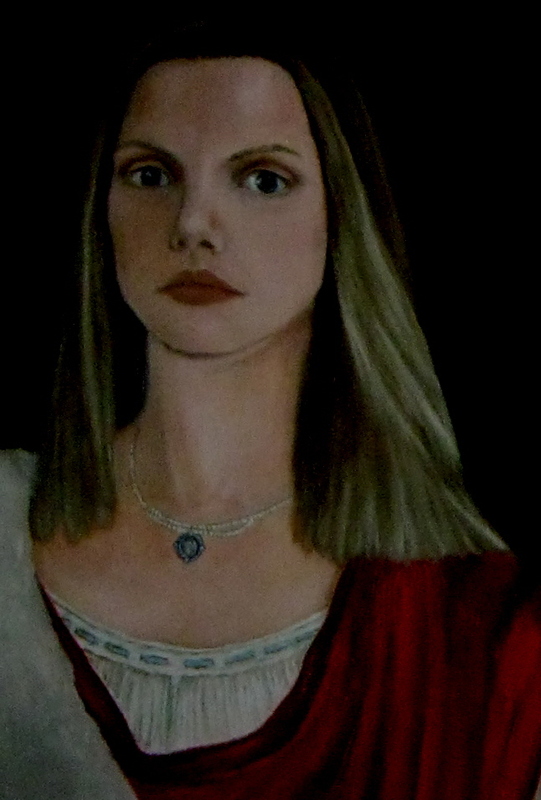 Today’s image is Renaissance Self-Portrait, which Emily painted in 1989. We’re back! A Call for Submissions. After a long hiatus, drunkenmermaid.com is resuming online publication on March 1, 2012 with a new interview with James Morrow and a profile of Emily Sophia Van Binsbergen. Our mission is to support the global arts community. If you are a writer, artist, musician or performer, etc – we want to hear from you. Visit us here at drunkenmermaid.com and be sure to like us on facebook. The new site goes live March 1, 2012. Check out the Submissions page for general guidelines. You can also do some self-promotion on our Events page. Organizations that support the arts are encouraged to partner with us.